Showcase your cupcakes and muffins with this unique and modern display! 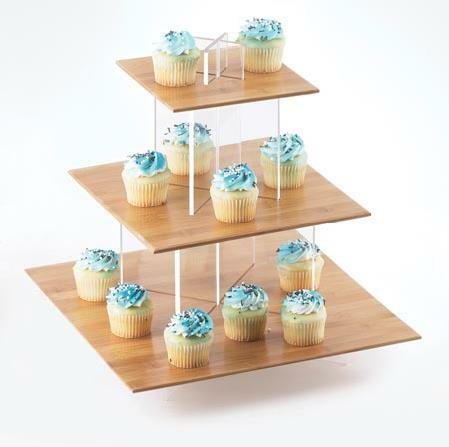 It features three tiers that holds any kinds of small desserts, including cupcakes and muffins. This sleek and stylish design is made for you to customize to perfect fit and complement your food presentation.